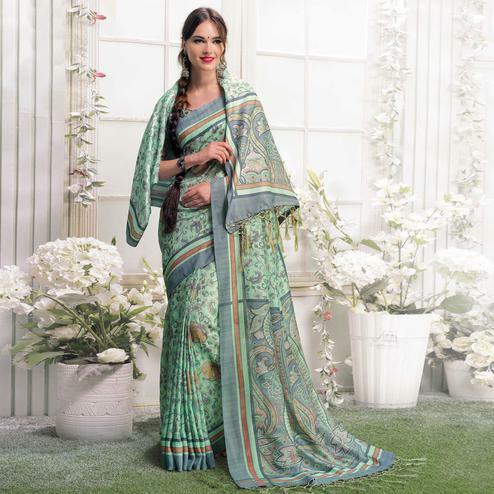 Get an attractive and gorgeous look wearing this cyan color fancy fabric saree which has got floral design patch with stone work, fancy fabric patch at short pallu and golden lace work border. 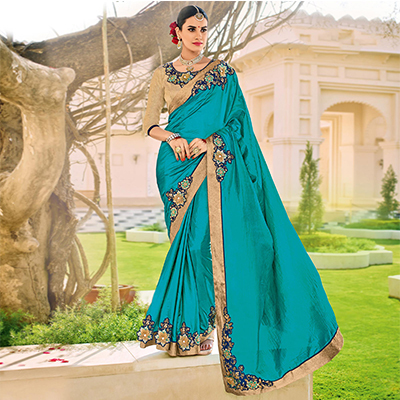 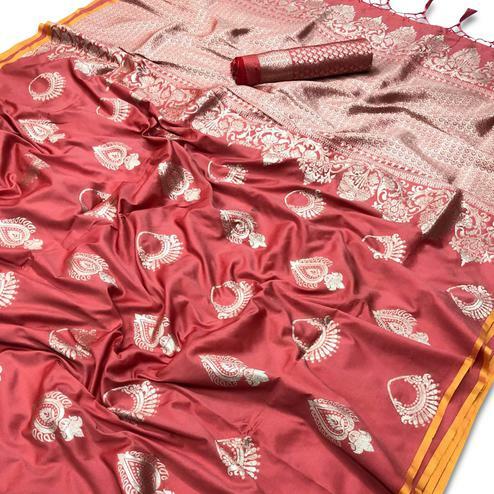 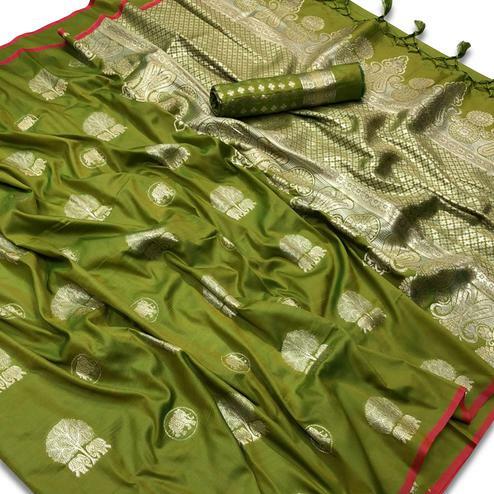 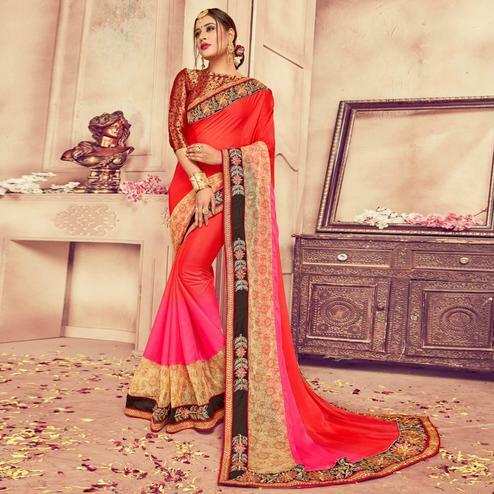 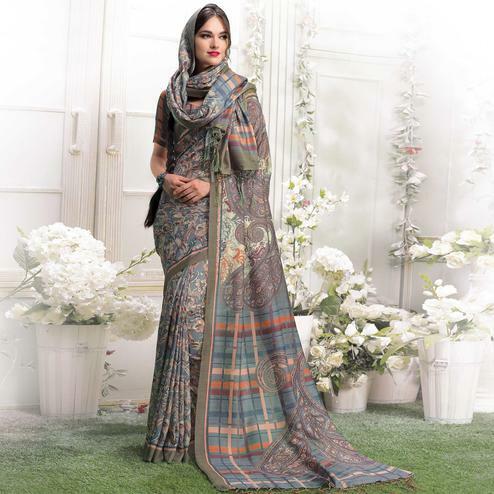 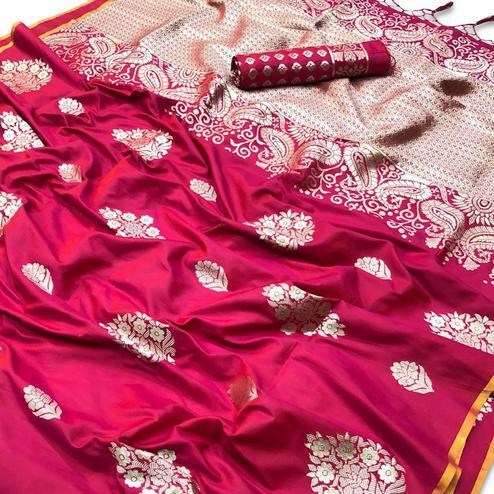 Saree available with floral patch work raw silk blouse having similar patch and lace work. 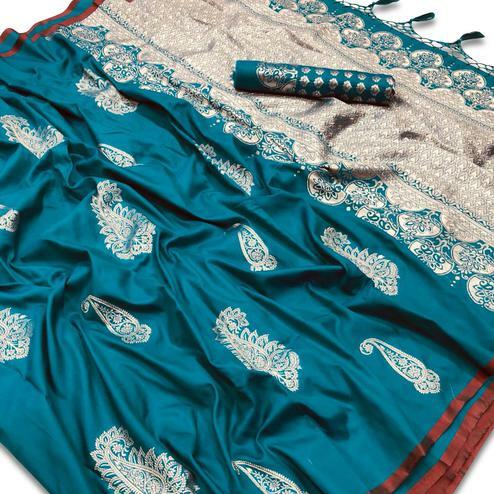 Best suited for parties, functions and occasions.